- Ho Chi Minh, 1963. ‘Is Economic growth necessary for sustainable growth?’ is a question asked by many within the realms of the Sustainable Development (SD) debate. The reality is that economic growth is occurring in many of the world’s most economically and socially fragile countries, like it or not, and that the true test is whether or not business, government and society can work together to ensure that the scale and speed of economic development contributes to creating a sustainable future. As one living and working in Vietnam, I’m particularly keen on looking at the impact of such economic development upon the spheres of Business, Biodiversity and Governance. After a century of conflict, famine and division, Vietnam has entered into the 21st Century with one of the world’s fastest growing economies. After decades of communism, the new open door policy of Doi Moi (Renovation) in 1986 resulted in the growth of the private sector, foreign direct investment, and the slow opening of the country to foreign influences. Between 2003 and 2006 GDP increased by over 50%, climbing to just over US$60 Million. Economic growth continues at a rate of between 5 and 6% in 2010, with the previous 5 years showing growth per annum at around 7%. (World Bank, 2010). The population of the country stood at just over 84 Million in 2006, and its growth is currently increasing at a rate of 3 million every 3 years (World Bank, 2008). The government has prided itself on lifting millions of people above the poverty line, raising literacy rates, and providing improved water and sanitation to a percentage of population far higher than many of its South East Asian neighbours (World Bank, 2008). There are many indicators of progress and development that are proudly held aloft by the government and donor agencies in celebration of the economic progress, but not all will welcome the broadcast of the indicators that show how rising sea levels, land, water and air pollution, and continued corruption are posing the biggest threat to the sustainable future of this country. CO2 emissions alone have grown from 0.3 metric tonnes per capita in 1990 to over 1.3 metric tonnes in 2006 (World Bank, 2010). Ho Chi Minh City now has the highest dust pollution levels of any city in the Asia region (Mudie, 2009). The impact upon business and tourism is now being felt, with the number of return tourist numbers dropping, and businesses finding it harder to expatriate into Vietnam the specialist skills needed to assist in the country’s growth. The geography and biodiversity of Vietnam is one of its greatest assets. Over 73% of the wealth creation in Vietnam comes from natural capital. Of this, 55% of the wealth comes from agricultural farming of crops, for both domestic and overseas consumption. Vietnam is second only to Thailand with respect to exports of rice (World Bank, 2008). The Red and Mekong Deltas have historically produced some of the most fertile agricultural land in Asia. At the same time the extent of biodiversity in Vietnam is the best measure of how large the challenge is that the country faces with respect to a sustainable future. Pollution in the air, rivers, damming of rivers, silting, reduced nutrient rich soil deposits, deforestation, heavy metal pollution are all resulting in a reduction of habitat and biodiversity; all this before climate change has begun to result in changes to sea levels. Climate change is predicted to result in sea levels rising by 1m along the Vietnam coast by 2100. This would result in nearly 45% of the Mekong Delta is being flooded (Clark 2010). The impact of such an event would reshape Vietnamese society. Rice harvests would likely reduce by 50%. The Government would be left in the position of having to choose between maintaining rice exports in order to maintain foreign currency receipts, or holding back rice stocks for domestic consumption, with a view to maintaining social order. Rising sea levels due to climate change will only serve to compound an already dire situation. Vietnam is destroying its natural capital, its largest single asset, over and above any physical, human and intellectual capital. The recent case in Vietnam of a foreign company discharging 105 million tonnes of untreated wastewater from their factory in to the Thi Vai River is a case in point (Thanhniennews 2007). The factory had been discharging the waste through a hidden pipe, with local authorities claiming that this alone was responsible for 90% of the damage to the local rivers. Many local people believe this is typical of the actions being taken by many local and foreign businesses, the result of which being that many of the rivers and tributaries around Ho Chi Minh City are ‘not at all suitable for agricultural uses and absolutely not available for domestic use’ according to a European embassy environmental official (Romanowicz 2007). Some South East Asian countries are beginning to look beyond the national agenda in an attempt to develop a regional welfare economic policy hinged around one key asset. In the case of the Mekong River, the Mekong countries are working together to try and ensure the actions of one country with respect to utilisation of the river, is not resulting in the loss of amenity to the other Mekong countries. A recent World Bank report showed Vietnam as having progressive environmental legislation, yet the struggle is in the implementation and enforcement of such legislation in a country that lacks governance capacity. Vietnam, like many developing nations, is facing an influx of foreign investment from the developing world looking to make a profit. An irony being that this is more the case now following on from the global financial and economic crisis. The previous 20 years had seen a large level of investment in manufacturing of goods for export to developed markets such as furniture, textiles, coffee, rubber, toys. This is now changing. Local manufacturers are now re-positioning their products for local market consumption. Furthermore, as the disposable income levels in the country rise, so more and more first world financial services providers are flooding the Vietnam market. These countries are looking for new opportunities and to gain from the stable economic growth of the country. The change in market has led to an increase in the consumption of goods, to an extent that capital investment is now falling behind, and failing to keep up with the demands of the new consumer society. Consumption at all levels (housing, clothes, food, personal means of transport) is leading to higher levels of pollution, in part due to there being insufficient infrastructure in place to cope with the increase in consumption. Coupled with population growth and urban spread, the impact upon the environment is considerable. Domestic electricity consumption is set to nearly triple from 2006 levels by 2030 in Vietnam (The World Bank, Page 67, Figure 4.12), yet at the same time energy security will continue to be fragile. The type of consumption path that does materialise over time in Vietnam will be driven to some extent by population growth. As with China, control over the scale of population size and growth is a key part of government policy, as it attempts to tackle the pressures of rapid growth, yet at the same time placate the population. The local business community may well be aware of the potential and actual impact their operations are having upon the environment, but is the real will there to address these concerns? Within the context of Vietnam, Nguyen et. al (1999) classifies the business community into three; the Multi-National Enterprises (MNEs), Small and Medium Enterprises (SMEs), and State Owned Enterprises (SOEs). MNEs are, as a result of increasing international and local attention as to their ‘green credentials’, becoming more concerned about the impact of their operations upon the environment. The use of modern technology in production and pollution abatement by these MNEs should provide an opportunity for the government, SMEs and SOEs to learn and develop their own modern practices. However, it is further suggested that SMEs, whilst being smaller in scale, are also a threat to the environment. Their sheer number, and the variety of processes being used by small business / manufacturing, makes it very difficult for the local environmental protection agencies to keep up with events. Argued by some as the biggest threat to the environment, SOEs have been catapulted into the globalised economy, the managers of these businesses are now faced with having to operate in a more efficient and effective manner in order to be competitive in both the national and international markets. Reduced working capital, cost reductions and cutting of overheads leave investment in cleaner production methods and environmental compliance typically low on the list of priority. Many of the businesses in Vietnam claim to follow ISO:14001 and / or other international environmental standards. A trip along the main highway between Ho Chi Minh City and Bien Hoa city will take the traveller through the middle of one of the largest industrial / business zones in southern Vietnam, with large hoardings announcing the presence of some of the world’s best known brands, with ‘ISO:14001 approved’ statements on nearly every one. However, the real number of MNEs, SMEs and SOEs that are actually following and implementing environment standards, and the extent to which the authorities have the will and capacity to enforce environmental legislation is in question, with many believing that the displaying of hoardings claiming ISO:14001 compliance are nothing more than a part of a ‘green wash’. Some debate that ‘business inevitably moves in the right direction’ (Utting 2002), with business shifting towards a qualitative rather than quantitative future, with product stewardship driving a culture where business becomes the ‘policy maker, not a policy taker’ (Socolow 1994 as cited by Utting 2002, p.3). Others believe this thinking may well apply in the developed world, where civic society and political systems drive a culture of self-governance and accountability, but this is rarely the case in the developing world. Here big business, with its financial backing and freedom to move from country to country, has the ability to drive a deal with a country’s government, altering resource consumption patterns for what is potentially a short term project, assisting the nation’s government to appear to be moving forward, with promises to the local community of improved sanitation, housing, schooling, lifting the local population above the poverty line, etc. As discussed before, businesses often overlook the longer-term environmental implications of their business activities, hiding behind the presence of weak government legislation and control. Bribery and corruption is often cited as reason why local government officers fail to enforce environmental legislation. Welford (2002) calls it a ‘governance gap’, suggesting that ‘whilst we have seen the globalisation of business we have not seen an equivalent globalisation of government and democracy’. Recognised as a key emerging Asian tiger economy, one that looking forward, more and more overseas investors will see as a destination of choice, the country and global institutions are keen to see Vietnam continue to develop, and tackle it’s environmental challenges. As such the World Bank has recently approved a $500M low interest loan for Vietnam. 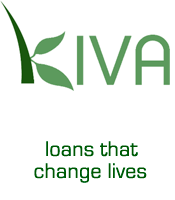 The loan is targeted at public investment reforms, in particular modern governance. The level to which the funds are allowed to assist in driving greater capacity of regional and local government agencies to address the environmental and social impact of rapid economic growth and global warming, will be a true indicator of how committed the government is to long term SD of the country, versus the short term gain of a corrupt few. Patten (2000) states ‘In an open, plural society even where there is still no cultural recognition of the primacy of public responsibility over private gain, corrupt practices will nevertheless have to run the gauntlet of relentless criticism and exposure by parliament, press and courts’. In Vietnam corruption is an accepted part of business. Some would argue that it is a ‘sign of robust economic activity and therefore not really a problem’ (Templer 1999). The social capital available in Vietnam is potentially huge. The system of government already exists that can easily mobilise if it so wished a large volume of the population to address SD issues nationwide. Vietnam faces many tough challenges today as it moves its people forward from being a low income to a middle-income country. A number of indicators of sustainable development are showing an upward trend, and a number are showing downward trends. Unfortunately all of these trends are for indicators that represent negative factors for sustainable development. Population growth, energy use, and pollution levels are all set to increase over the coming decades. Land available for agricultural production, rice exports, and the extent of biodiversity are all predicted to fall. If the rate of consumption in Vietnam is to continue as per the current emerging trend, then the use of renewable energies and resources in production must take priority. The government needs to develop its renewable energy policy to encourage and facilitate the inward investment in renewable business processes and resources, as such allowing the Vietnamese society to continue to develop in a sustained manner and to allow Vietnamese businesses to be seen as leaders in renewable and sustainable business practices, and hence their products be sought after on the domestic, regional and international markets. Economic development must facilitate the development of robust social mechanisms, and secure ecosystems that will provide the economic processes, the governance, skill base, and resource base required to allow such development to be sustained. It is only with such sustained growth that the needs of Economics, Environment and Society can be addressed in order to achieve sustainable development. Adherence to one particular concept of sustainability may in itself be unsustainable. As population sizes, gender mixes, climate, regional and international economic landscapes develop, so to must a country’s ability to adapt it’s development methods. ‘A state is sustainable if it is capable of being reproduced in perpetuity’, (Pulman et al, 2003). Any concept of sustainability must itself be flexible, organic in nature, and adaptable over time. Whilst the challenges facing Vietnam appear unsurmountable to many, history shows that the Vietnamese people have a habit of being very adaptable. BREKKE, K.A. and JOHANSSON-STENMAN, O. (2009) The Behavioural Economics of Climate Change. In: HELM, D et al, eds. The Economics and Politics of Climate Change. 1st ed. Oxford: Oxford University Press, pp. 107-122. BRUSASCO-MACKENZIE, M. (2000) Environment and Security. In: F. DODDS, ed. Earth Summit 2002: A New Deal. 1st ed. UK/USA: Earthscan Publications Ltd.
BUU, P. (2010) Climate change to hit nation’s mangrove forests. Viet Nam News, 24th May., pp.4. NGUYEN, N.S. and SUTCLIFFE, P. and PHUNG, T.T.V. (1999) Trade, Environment and sustainable development in the context of Vietnam. In: Trade and Sustainable Development in Vietnam, 1999. Canada: International Institute for Sustainable Development, pp. 5-12. PATTEN, C (2010) Governance REITH LECTURES, 2000. QUANG, D. (2010) Cooperation, The other side of competition IMAGING OUR MEKONG. STERLING, E.J. and HURLEY, M.M. and MINH, L.D. (2006) Vietnam: A Natural History. London: Yale University Press. TEMPLER, R (1999) Shadows and Wind: A View of modern Vietnam. London: Penguin Books. UPTON.S (2000) Roadblocks to Agenda 21: A Government Perspective. In: F. DODDS, eds. Earth Summit 2002: A New Deal. 1st ed. UK/USA: Earthscan Publications Ltd, pp. 3-20. UTTING, P. (2002) The Greening of Business in Developing Countries: Rhetoric, Reality and Prospects. London: Zed Books. WELFORD, R. (2002) Disturbing Development. In: P. UTTING ed. The Greening of Business in Developing Countries: Rhetoric, Reality and Prospects. London: Zed Books. WORLD BANK and AUSTRALIAN GOVERNMENT. (2010) Winds of Change – East Asia’s Sustainable Energy Future. New York: The World Bank. Update on 5th December 2010: We have since corrected Binh Hoa to Bien Hoa, thanks to a comment by our reader Huong. HI, from your point of view, I have a chance to look back how the development in my country is. And then, as mentioned in your writing: “A trip along the main highway between Ho Chi Minh City and Binh Hoa city “. It seems to be that BInh Hoa is not correct,just a mistake caused by typing? I thought that you want to write ‘ BIÊN HÒA’, this is a city in Dong Nai province.